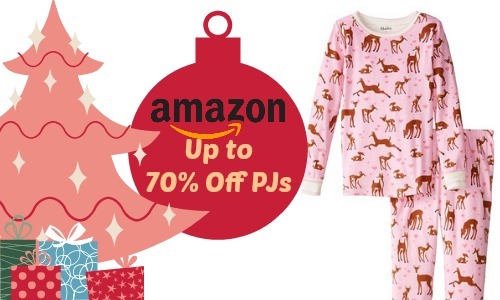 Home > Amazon > Amazon Deal of the Day | Up to 75% Off Pajamas! Amazon Deal of the Day | Up to 75% Off Pajamas! Want some new Christmas pajamas? Check out this Amazon deal of the day where you can get up to 75% of pajamas for the whole family today only. Who doesn’t love a new pair of comfy pajamas for the winter and these can even make it under the Christmas tree when you use your Amazon Prime free 2-day shipping. Shipping is free with a $35+ purchase or with your Amazon Prime account. This offer is today only!